Although there have been several outbreaks in recent weeks, the overall number of tornadoes in the United States in 2016 was below average and it was one of the quietest years since modern record keeping began in 1954. The reason is likely that a strong El Niño occurred in the first half of the year, says a Texas A&M University severe storms expert, but conditions could soon revert back to normal. 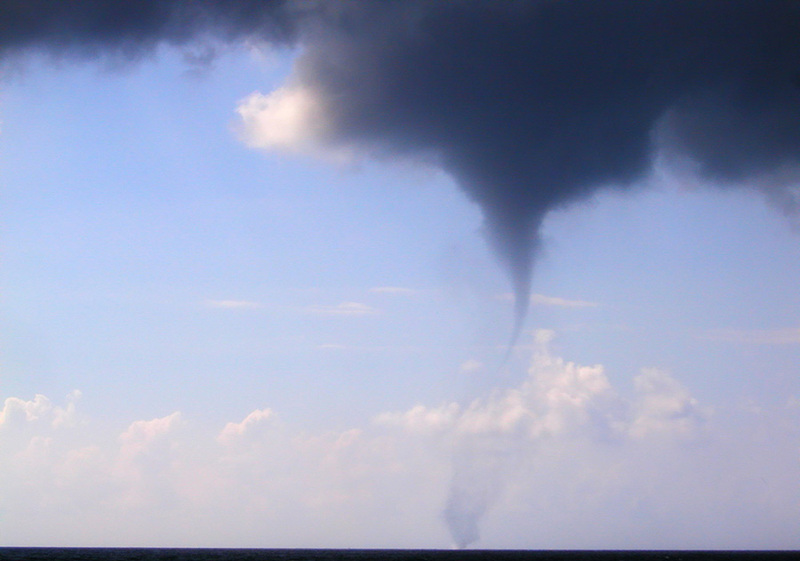 Chris Nowotarski, assistant professor of atmospheric sciences at Texas A&M, says an El Niño (warm water in the Central Pacific which tends to influence weather patterns worldwide) has been associated with a decrease in tornadic activity over the area called Tornado Alley that stretches from the southwest to the Midwest and where tornadoes most frequently form. This likely resulted in the 901 tornadoes in 2016, which is below the yearly average of 1,061. While that is good news, the better news is that only 17 deaths in the U.S. occurred from tornadoes, the fewest in 30 years. In 1986, 15 tornado fatalities occurred nationwide, the lowest amount ever. In regard to Texas, the state had 90 tornadoes reported in 2016, which was well below the average number of 140 in a typical year, says the Texas A&M professor. “The El Niño is thought to generally weaken southerly winds off the Gulf of Mexico into the Southern and Central Plains area,” Nowotarski explains. “That means less moisture and wind shear which are crucial for tornadoes to form. While it is difficult to predict what will happen the rest of the year – for instance, February of 2016 was the deadliest month, killing seven people, instead of April and May which are the months most often associated with tornado deaths – there are some clues to look for, Nowotarski adds. “We’ve shifted to a weak La Niña this year (colder waters in the Central Pacific), which suggests more typical numbers of tornadoes could occur this year,” he says.